Finnish Army StuG III Ausf. G Sturmgeschutz Tank Destroyer Sd.Kfz.142 at the Parola Tank Museum, Finland in post WW2 green. Joel Coupland is the commander with Jukka Jylha on the machine gun.. 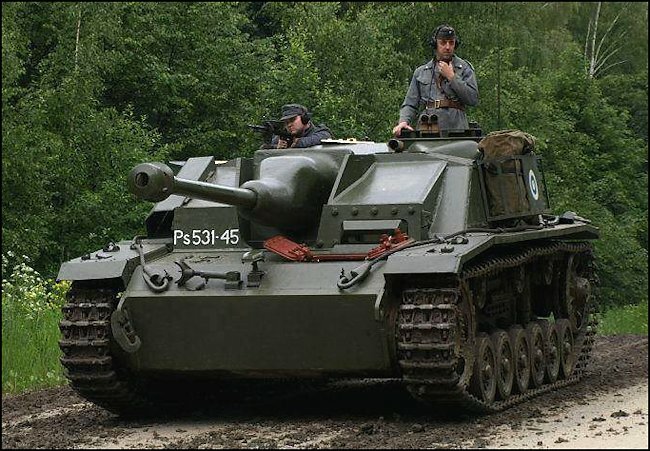 This StuG III was armed with a 75 mm StuK 40 L/48 gun that could fire AP armour piercing rounds and HE high explosive shells. It was also armed with a 7.92 mm MG34 Machine gun fixed to the roof. It had a four man crew: commander, gunner, loader and driver. They were protected by armour that ranged in thickness from 16 mm - 80mm. A coaxial machine gun was first added to boxy mantlets, from June 1944, and then to cast Topfblende, from October 1944, in the middle of 'Topfblende' mantlet production. With the addition of this coaxial machine gun, all StuGs carried two MG 34 machine guns from fall of 1944. 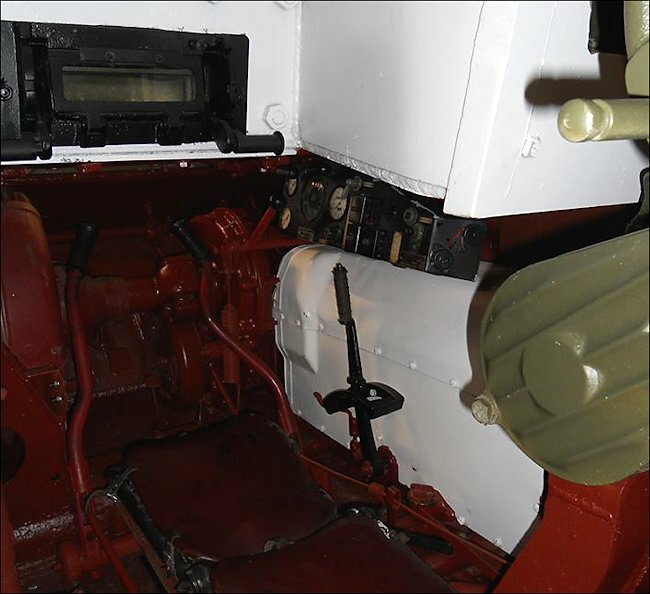 Some previously completed StuGs with a boxy mantlet had a coaxial machine gun hole drilled to retrofit a coaxial machine gun; however, 'Topfblende' produced from Nov. 1943 - Oct. 1944 without a machine gun opening could not be tampered with. Also from Nov.1943, all-metal return rollers of a few different types were used due to lack of rubber supply. If you look at the front of this Finnish Army StuG III you will notice the numbers and letters Ps531-45. Ps stands for the finnish word 'panssari' which means armour. Number 531 is the type number. 531 is the type code for the StuG III variants. 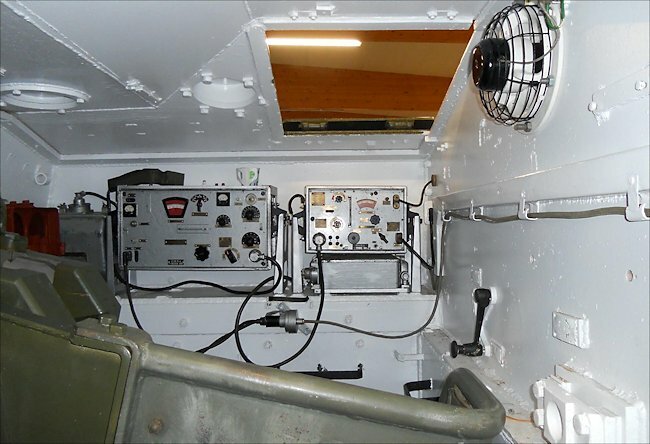 As you probably guessed, last digits are a Finnish Army vehicle identification serial numbers. Finland used StuG III tank destroyers until 1966 and after that some StuGs used as fixed weapons dug-in positions around airfields. They were retired from operational service in the late 1980s mainly because the old 75mm ammunition had become unstable and dangerous.